Tree pose is one of those yoga poses we see really often in advertising and the media, it is the archetypal ‘yoga pose’ known by most people, whether or not they practice which means we can overlook it and all its subtleties when we delve into this posture on the mat. It’s a wonderfully grounding and balancing pose, helping us to learn how to find a peaceful focus in the present moment as we balance on one foot. But it also stretches and opens the hip, thighs, torso and shoulders as well as building strength in the core, calves and ankles. If you have mastered tree pose or you are totally new to the practice, try out these 5 steps to find more depth in this asana. Press down into all four corners of your standing foot. Before you enter the posture, start with both feet flat on the ground and really root down. Close your eyes and practice gently swaying side to side to tune in to where you distribute weight naturally in your feet and see if you can actively press into the floor with all four corners of your feet. Allow the spine to lengthen as you do this. Find a ‘drishti’ or point of focus on the ground a few meters in front of you – keep your chest open and your chin level with the ground, so you are maintaining openness. As you focus on this unmoving point, slowly start to life one of your legs. 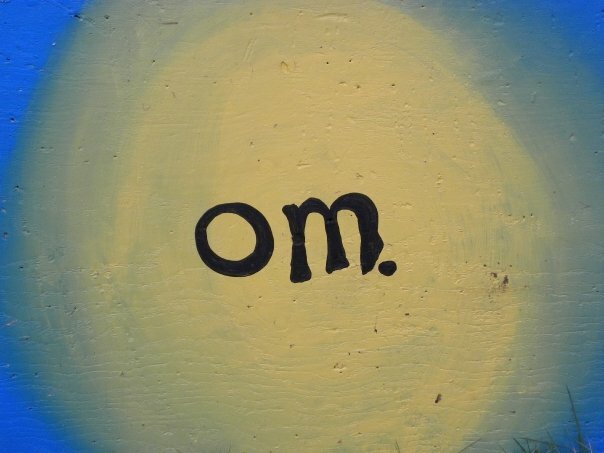 Keep focused on your drishti. Squeeze the grape. Start with opening the raised knee out to the side, opening up the hips, and place the raised foot on the inside of the ankle, calf or thigh of the standing leg. Imagine you have a grape behind your raised knee and you need to squash the grape by engaging the back of your knee. Keep this engagement. Savour the subtleties of this pose by really tuning in to your body and its ability to gracefully sway, balance and recover when you wobble. Use your core. This doesn’t look like a traditional core strengthener but it can be really beneficial and helps to teach us the deep relationship between core and balance. Feel for pulling your belly in to the spine, but only to about 20% of your capacity. This light engagement helps to keep the spine in line and the pelvis neutral. Relax your shoulders down. 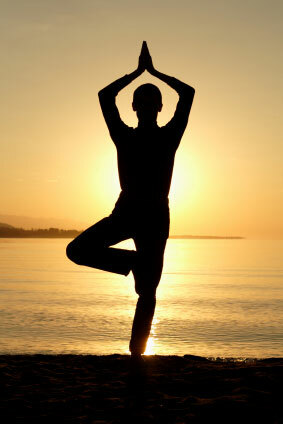 This pose, like any balancing posture can get very serious as we focus on staying upright. See if you can relax your shoulders down to maintain calm in the upper body and to allow the chest to be open. Bring a gentle smile to your face to encourage softening in the muscles you do not need to tense – primarily your face and shoulders. Coming out of this pose, maintain your drishti and slowly and gracefully lower the raised foot to the floor. Take a few moments with both feet on the ground to notice the difference between your right and left sides of your body. This pose can have a very calming impact so take your time when you explore this asana and as always, please share your wisdom! What makes this pose beneficial to you? How do you tune in to your inner self in the posture?